Pediatric Dentistry Pasadena Family Dentist : Many dental offices offer pediatric dentistry. It’s very common for them to perform exams, cleanings, and procedures in the same place they treat their parents. Other clinics focus solely on kids, leaving parents to wait outside. At Advanced Dental Associates, we offer both. Under our roof, we have two separate clinics – one for adults and one for kids. 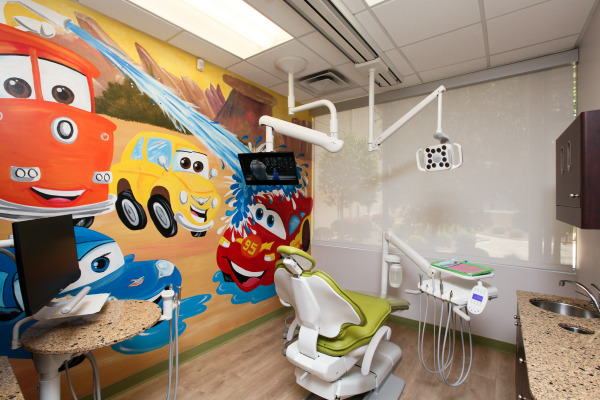 We designed our dental office this way to ensure that we could treat children and adults in environments that make them both comfortable. When you step into the pediatric side of our practice, you’ll see that it was built from the ground up with your children in mind. We make everything simple, friendly, and comfortable so that parents can relax knowing that their children are in good hands. We did this because we don’t want children to be afraid of the dentist. Our mission here is to provide an environment so kid-friendly that you, the parent, feels can choose between sitting back and relaxing, with a movie on one of our 4k TVs or some music on noise-canceling headphones, and having your own dental appointment on the other side of the clinic. At ADA, our pediatric specialists can take care of all your child’s dental needs while we take care of you, too! Pediatric Dentistry Pasadena Family Dentist : A trip to the dentist might not be on the top list of things to do for your child. At ADA, we strive to turn the dental experience into something they can enjoy. 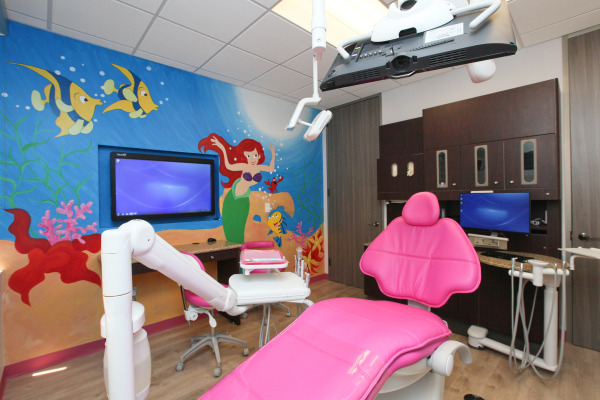 The kids section of our dental office was designed to be a colorful and playful environment so that your child can relax and feel comfortable throughout their appointment. One important aspect of pediatric dentistry is education. We work with you and your child to help them develop healthy dental habits early on. When you’re on a journey to the perfect smile, it’s important to start early! With regular exams and cleanings, we can build a great foundation for the future of your child’s oral care. Don’t wait too long. Let’s get started! We Make Your Children Feel Right At Home! Pediatric Dentistry : At our Pasadena dental office, helping your child maintain good oral health is something that we are passionate about. When you come in, you’ll see for yourself how far our kid friendly environment and smiling faces go to make a trip to the dentist something your child can be excited about! Meanwhile, you can sit back and relax. You deserve it! Call or contact us now to schedule an appointment for your child. If you’d like to schedule a consultation for yourself, we can work with you to match up the appointments. Are you ready to get started? We are!